I have been described as a “hippie”, “tree-hugger”, and even an “idealist”. I am the one that will stop traffic for a turtle, nurse a baby squirrel back to health, or cry when my husband kills a deer. Admiration for those that can harvest their own meat has always been inherent in me, but never a quality I aspired to. 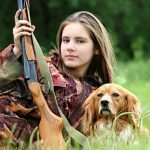 In fact, when seeing people kill beautiful animals, I got very upset. As a teacher, I shied away from discussing these topics with my students, as I was afraid emotions would overcome the logic. Something recently enlightened my outlook, though. 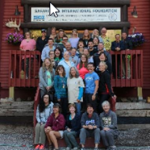 I had the pleasure of attending the American Wilderness Leadership School (AWLS) in Jackson Hole, Wyoming. 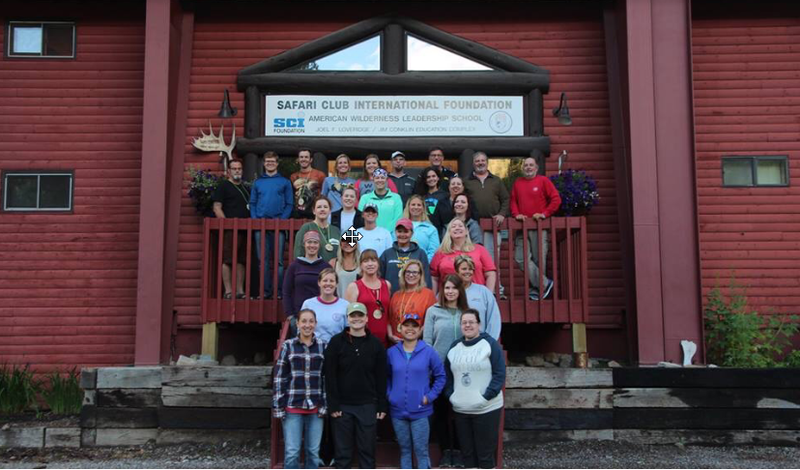 This opportunity was graciously granted to me this summer through the Safari Club International Lansing Chapter and the Safari Club International Foundation. This program clarified what the United States does to implement conservation, how I can use strategies in the classroom to interest students to conserve lands and resources, and also the importance of relationships, which are the building blocks for huge initiatives like conservation. First, AWLS surprised me with its well organized, serious mission to educate me. The amazing food was segmented in between lessons in the classroom. Multiple days we dissected the the North American Model of Conservation. I was astounded that there are no tax dollars that support conservation efforts, and the fact that hunting and fishing licenses are the only guaranteed revenue for these programs. After hearing the history of overhunting and deforestation of the eastern U.S. in the 1800s, I came to terms that there are some things that will never go back to the way they were. Now it is my job to support science-based conservation efforts by purchasing a hunting and/or fishing license, despite if I use them or not. It is also my duty to expose my inner-city students to public lands, so they learn to appreciate nature and are more apt to preserve it. Then came my favorite part of the trip, the Ecology Walk. I have proudly versed myself in the wild edibles of Michigan and was very excited to learn the names of the many species I was unfamiliar with. I took over forty pictures of plants, documented their names and looked up their uses when I got home. As an armature geologist, I was also looking for billion-year-old granite moved from the tops of these mountains into the valleys. The stratification of the rock outcrops were entrancing, and I was constantly trying to wrap my head around the processes that formed them. A simple walk in nature brought up questions and feelings of awe within me and this punctuates exactly what our technologically-addicted generations need more of. As a teacher, I realized I could be the only one in their youth who could expose them to the wild, public lands available. In this life, we are temporary stewards of the resources given to us by our elders, and many children (and adults) are unaware of their responsibilities. The incredible AWLS team modeled how to create a safe atmosphere for learning, games for understanding, and even curriculum-based lessons. I walked away with an eight-gigabyte flash drive filled with ideas to help me in my classroom and ready to share them. Finally, I made many friendships that will last me throughout my lifetime. I cannot thank Mike Leonard, Mike Hoskins, the Lansing SCI Chapter, and SCIF or its sponsors enough for introducing me to like-minded teachers and professionals who are passionate about conserving public lands for future generations. 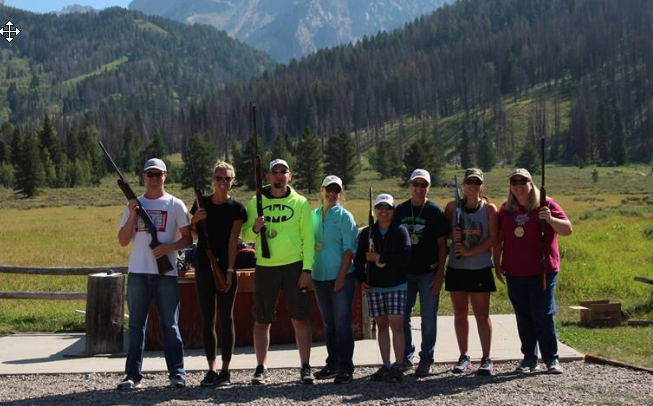 I am a better person for having met the instructors Gary Gearhart, Bart Ballard, Todd Roggencamp, Natalie Salkowski, Jay Buchner, Al Ambrose, Dave Guenthar, Bill Hansen, Harlan Kredit, and John and Laura Valley. My teacher-friends have been already sharing information within a Facebook group to better prepare ourselves for this school year. In this profession, it is easy to become introverted to save time and energy, but AWLS reminded me that it takes a village to raise children. The conservation community is my new family, and I will pass onto my students that success is truly rooted in relationships. 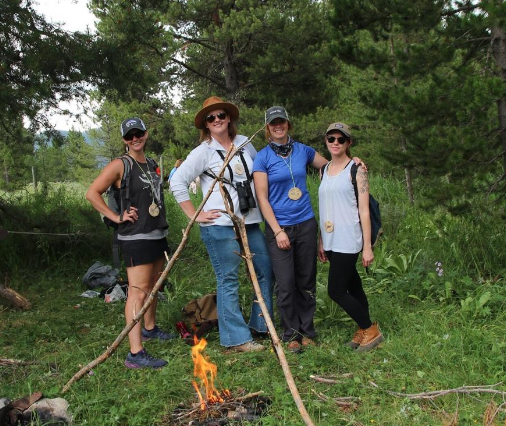 The American Wilderness Leadership School was one of the best experiences of my entire life. 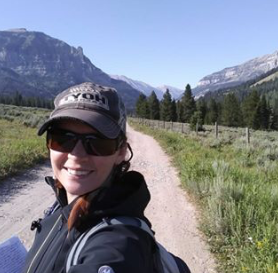 I understand my husband more, I am impassioned by the men and women who fought for public lands early in U.S. history, and am motivated to inspire students to inherit these wild places with an incredible respect. Currently, I have almost all the funds I need to host NASP (National Archery Student Program) within my school (again, thank you Lansing Chapter SCI for your partial sponsorship of NASP in our Middle School). I have created a “Green Board” at the front of my school to highlight endangered animals, ways to reduce/reuse/recycle, and spotlight men and women who have helped make great leaps in conservation. I have also added a tab to my webpage, labeled “Conservation”, to help facilitate education in this topic. On top of all this, I have been moved from 3rd grade to Middle School Science! I feel inspired, motivated and prepared for this school year! The journey seems to have just begun. To find out more about AWLS and the grants available to Lansing area teachers please visit our website an email our chapter at scilansing@gmail.com.